LOS ANGELES (Hypebot) – The Collective, once one of music's most innovative firms, is closing its management division as top client Linkin Park decides to go self-managed. The Michael Green led firm, The Collective, is shutting its substantial management division to focus entirely on digital video. 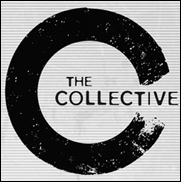 The Collective's music management clients included Linkin Park, Slash, Godsmack, Toni Braxton, Kelly Rowland and Staind. “We’ve built a real investment, a real MCN (multichannel network), and it’s succeeding – and my heart is no longer in the management world,” Green told Variety. But the move may have also been precipitated by Linkin Park, The Collective's biggest client, who decided to go self-managed. “We’ve decided to bring our management duties in house, to directly hire talent to support the innovative ideas the band plans to pursue in the coming years,” Linkin Park's co-lead vocalist Mike Shinoda said in a statement. Will other major artists chose self-management in 2015? The landscape for managers has shifted dramatically with the demise of big-advance record and publishing deals and a new ever-shifting landscape of diverse revenue streams. Major managers now operate more as CEOs, directing diverse teams and outside consultants who, in addition to radio, pr, publishing, touring and releasing records, now also explore sponsorships, song placements, social media, new media and a plethora of other opportunities. Just as new artists are now encouraged to carefully assemble their own shifting teams, it is not hard to imagine established artists finding it both more effective and profitable to assemble permanent and temporary teams to support their career and a particular project.